New team in the paddock for 2019, North Europe Racing KTM might have two MXGP riders in the form of Petar Petrov and Jeffrey Dewulf but they’ve also signed up 250cc riders for the year ahead. The team have agreed a deal with young French talent, Jeremy Hauquier who will race the European rounds of the MX2 World Championship for the team. 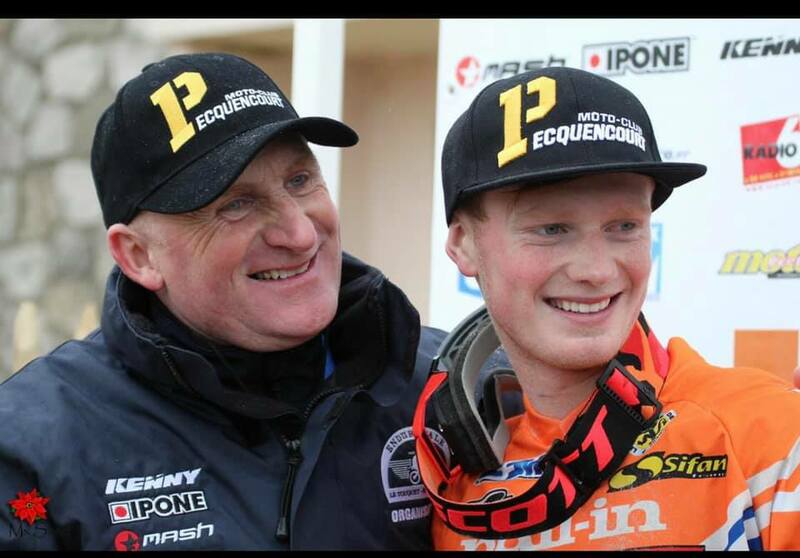 Hauquier has been racing the tough French beach races so will certainly be ready to take on the sand. Also joining the team will be Belgian rider, Mattis Meersschout. He will contest the EMX250 series in 2019. Both riders will also contest the Dutch Masters of Motocross in 2019 as well. “First of all I want to thanks Daniel Lokker and his wife. They give us the opportunity to chase a dream for each rider. Also my Dad and Mom to give me the chance to live the dream life. But also thanks to: Nordpesca, Lakkerij dewulf, Electro Mario, Rino trading, Ufo, Just 1, Ethen, Regina, Twinair, Motomaster, Vertex, Mika metals, HGS, Exhaust, Braking, Regina, Ethen, WP Suspension, Vita’s Sportclub”, Meersschout added. “During the sand season this winter I rode a lot of times with the team (trainings and races) And I didn’t have a deal for GP’s. The team asked me if I would like to ride in the dutch masters and some GP’s. I said immediately yes. I am really happy about it and wanna thanks above all Daniel lokker and the team for the opportunity”, Hauquier commented.